John Kenneth Muir's Reflections on Cult Movies and Classic TV: Ask JKM a Question: The Others (2001)? “I recently had an opportunity to re-watch The Others (2001), a film I have not seen in quite some time, and two things stood out. First, I was surprised by how much more I enjoyed it after all this time. While I don’t remember hating this movie by any measure, I think I thought (back then anyway) that it felt too much like The Sixth Sense. And while The Others may not be one of the best horror films I have ever seen, it is still probably one of the best looking. Second, and perhaps more importantly, I was surprised to discover that you have never reviewed this movie on your blog! What gives? Thank you so much for those kind words, Chuck. Thank you also for a great question. 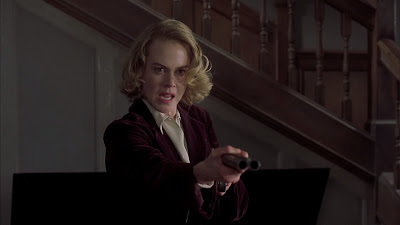 I remember seeing The Others (2001) in the theater and liking it very much, but perhaps not loving it. Period horror films are not typically, my favorite style, and I’m not actually a huge fan of “ghost” type films, either. But I agree with your assertion that the film is visually quite beautifully. 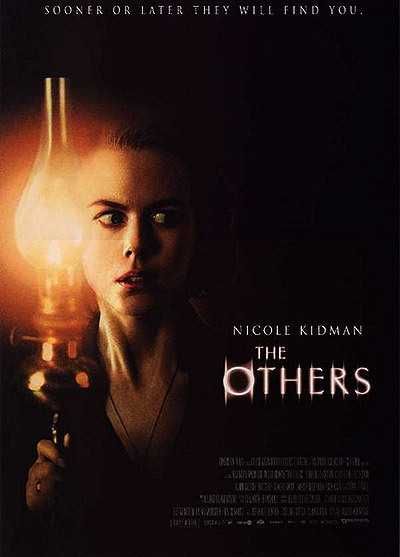 Surprisingly, The Others is a film I also never went back to re-watch, even though it has a resonance in my family life. I remember, in our old house, our three cats would sometimes stare at the walls for minutes on end, seeing something the rest of us couldn’t see. I can’t believe it has been sixteen years since the film premiered. But your wish is my command! Look for a full review of the film, right here, tomorrow (Tuesday) morning. Don’t forget to ask me your questions at Muirbusiness@yahoo.com.